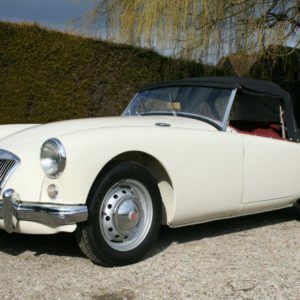 Our latest Auction Watch takes a look at some of the interesting cars coming up for sale at SWVA Auctions sale in Poole Dorset on the 21st April 2015. 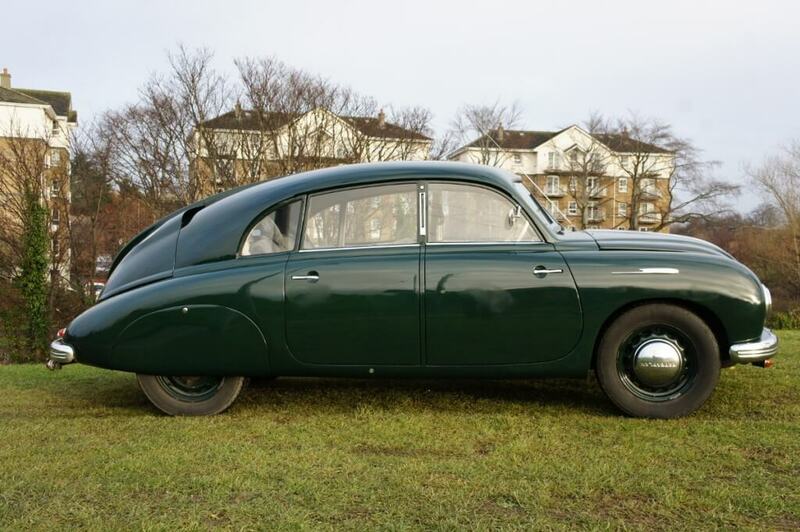 Out of all the lots currently consigned for the sale, we’ve chosen a cool 1952 Tatra T600 Tatraplan as the stand out car. In 1946 the Czech car maker Tatra, now nationalised and under the control of the Communist Government, launched the Tatra 600 Tatraplan. Designed by Hans Ledwinka, it sported an aerodynamic saloon body, achieving a drag coefficient of 0.32. A very impressive accomplishment for the 1940s. Its tear drop shape and wind splitting dorsal fin type spoiler gave the car a very unique look, continuing Tatra’s previous aerodynamic car designs. 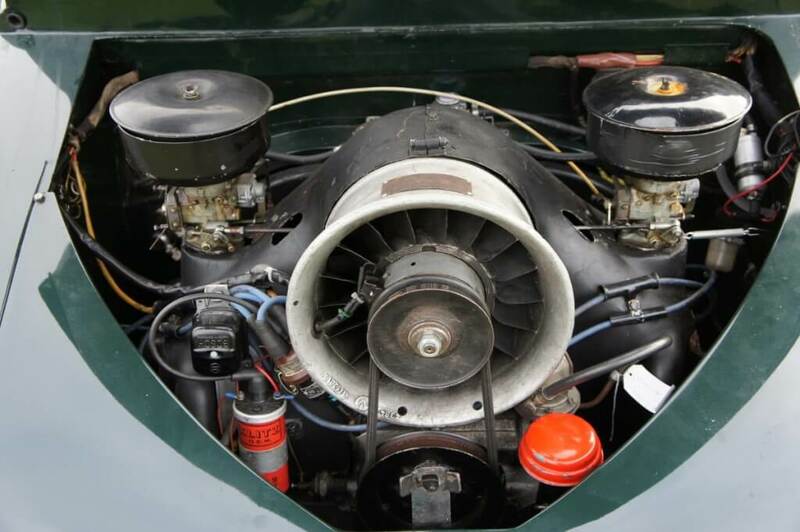 Power was provided by a rear mounted air cooled 1,952 cc flat four all aluminium engine, which produced a respectable 52BHP. It was offered with a four speed manual transmission via a column shifter and thanks to a 45% front and 55% rear weight distribution, it had excellent handling. Other innovations included a self-supporting steel monocoque body (which was years ahead of its time) and a fully independent suspension. 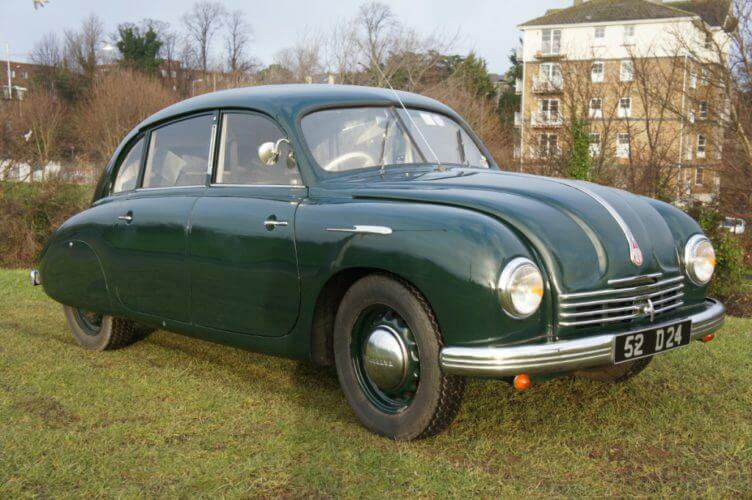 Over 6,000 Tatra T600 Tatraplan models were produced from 1948 to 1953. 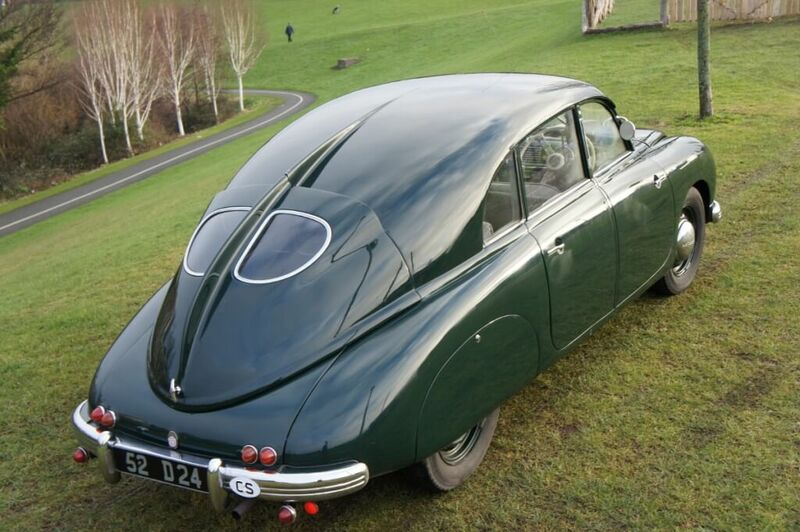 Lot No 34 is a 1952 Tatra T600 Tatraplan which is currently registered in Ireland. Finished in dark green, it was restored in 1996 in its native Czechoslovakia before moving to Germany. 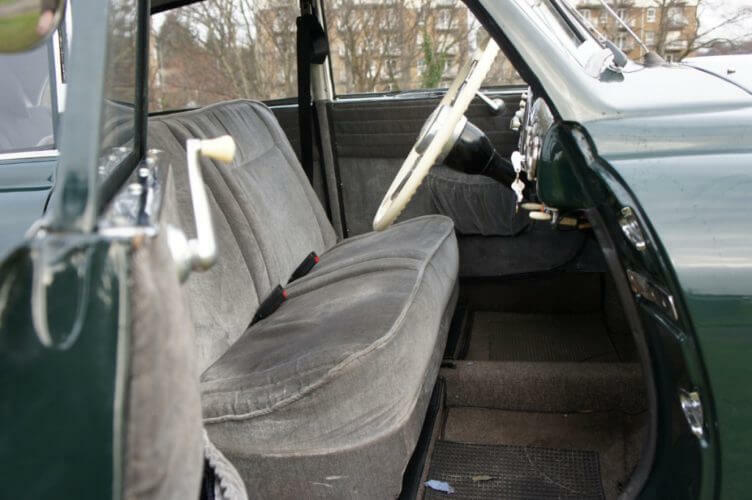 It is described as being original with the exception of a Eberspacher petrol-powered heater under the rear seat, which has replaced the original heater. It has 85,000 miles on the clock which is not warranted. The listing notes it has been used for rallies in the past and has FIVA papers which have now expired. It comes with a factory parts book, workshop manual, a small box of parts and its previous German paperwork. Also included is a thirty minute VHS video interview in German of the former owner talking about the car. It is noted that this Tatra T600 won ‘Best Post-war Saloon’ at Dublin’s Terenure Classic Car show in 2014. The T600 is a fascinating design. A minimum amount of chrome gives the T600 very clean lines. The slippery design is great from this angle. VW and Porsche weren't the only car makers who played with air cooled rear engines. The cloth trim is a change from leather and almost has a 1970s velour look to it. The T600 was sold as a six seater when new. Nothing like a few extra cushions for added luxury. The dashboard is very cool. It has a push button start too! The engine cover with its air vents scooping cool into the engine bay. We love this Tatra T600 Tatraplan. It is a fascinating and unique design and we especially like the fastback look. With its round headlights, curvaceous body and air cooled rear engine, there are big similarities to the VW Beetle and the early Porsche’s (designer Hans Ledwinka actually worked alongside Ferdinand Porsche in 1917). So you can see where VW and Porsche got some of their design cues from. 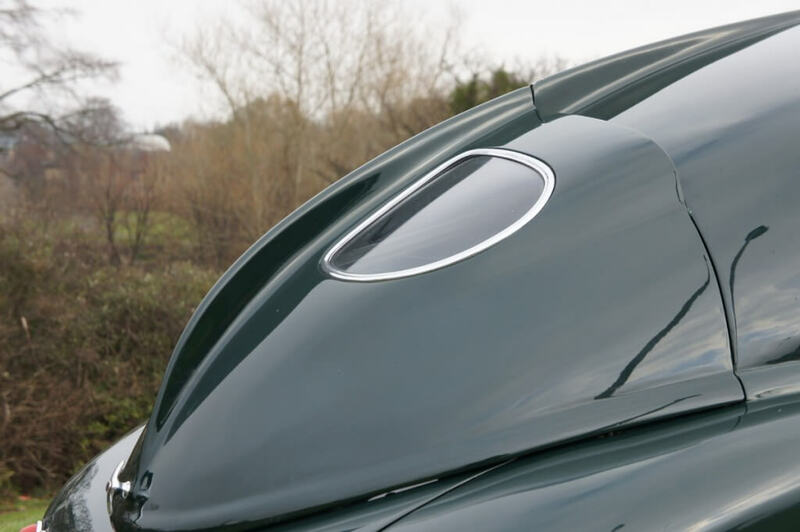 The emphasis on a streamlined aerodynamic body is further evident with the delicate and recessed door handles, a real nice attention to detail. 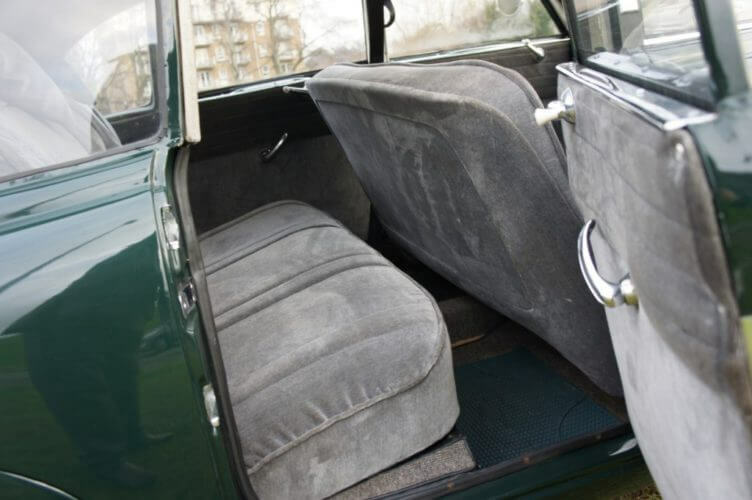 The suicide doors themselves feel right at home, you just expect to see them on a 1940s era car. The interior looks fabulously luxurious for a 1940s saloon with acres of grey velour like fabric. 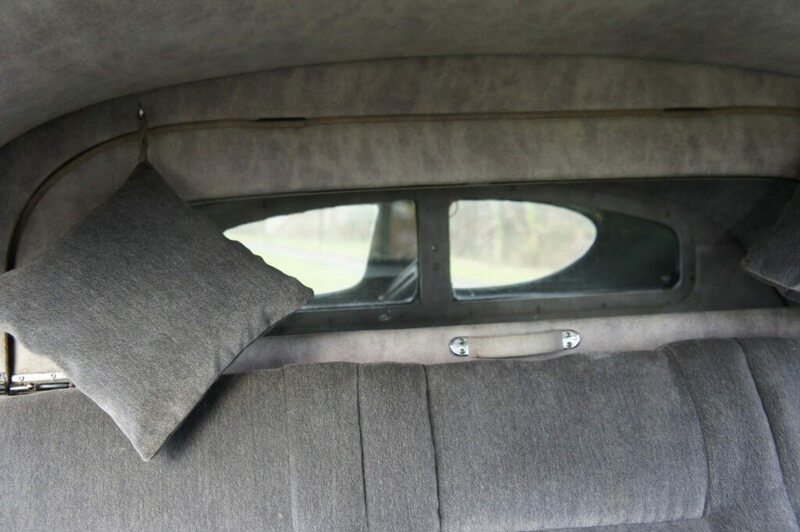 We assume the cushions hanging in the back act as headrests. They are a fascinating little detail you don’t see on other cars. 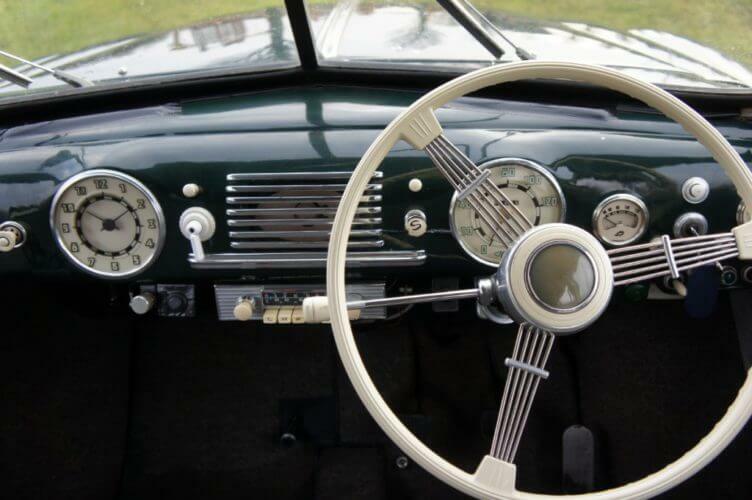 The dashboard is a simple affair with easy to read dials, the white colours coordinating nicely with the large steering wheel. We especially like the balanced look of the large clock and the speedo. Time and speed were clearly of equal importance in 1940s Czechoslovakia. 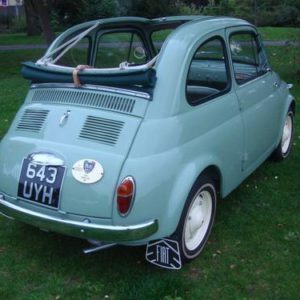 Some research has shown that this car was offered for sale at Brightwells March 2015 Auction where it did not sell (the listing also has a link to a video of the car on Vimeo). The estimate then was a much higher £35,000 – £40,000. SWVA’s estimate of between £25,000 – £29,000 seems to be more sensible range for a T600 in good condition. If we were buying this Tatra T600 Tatraplan we’d get its FIVA papers up to scratch and take it rallying. It would make for a very fun rally car and its unusual styling would turn heads everywhere you go. And only a keen petrolhead would know what it is. No question, this car is amazing all over. And if you consider that the body shape has been designed by someone who has been in charge of the Zeppelin airships, Mr. Jarey, furthermore that the famous constructor Hans Ledwinka had built the original prototypes for the VW beetle (concepts that have been stolen by the Nazis), by then the importance of this car as an icon within the automotive industrie can not be underestimated. Thanks for the comment. Indeed this is an important car. It is a shame when people talk about the history of the Beetle they focus on the Nazis connections and ignore the original designs of Ledwinka. Its rarely mentioned at all. It is such a shame Tatra disappeared as they were so innovative for their time. At least they left us some truly fascinating cars.